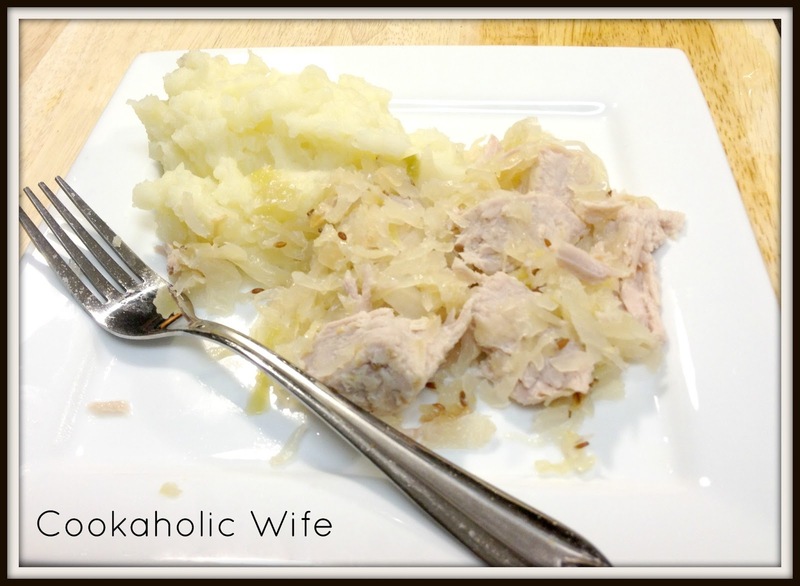 Tom’s family has a tradition where they eat pork and sauerkraut on New Year’s Day. I’d never heard of this tradition before, probably because my mom wouldn’t touch sauerkraut with a ten foot pole, but I’m always happy to adopt other people’s traditions. Although, I do have to wonder, after a night of drinking, why in the world one would want to even smell sauerkraut is beyond me. However, Tom requested it, so I made it. And yes, I realize it is WAY past new year’s day to be sharing this recipe with you. But at least you’ll have it for next year, right? 1. Combine all ingredients in a 6 quart crock pot. Cook on low for 6-8 hours or until the pork is fork tender. 2. Shred the pork and serve along with sauerkraut and mashed potatoes. It’s funny to call this a recipe since you pretty much do nothing but put the ingredients in the crock pot, but hey, sometimes you need a recipe like that, right?